Dimensions 1 by 5.50 by 8.50 in. My father had an expression for a thing that turned out bad. He'd say it had gone west. But going west always sounded pretty good to me. After all, westwards is the path of the sun. And through as much history as I know of, people have moved west to settle and find freedom. But our world had gone north, truly gone north, and just how far north I was beginning to learn. Out on the frontier of a failed state, MakepeaceÃ¢ÂÂsheriff and perhaps last citizenÃ¢ÂÂpatrols a city's ruins, salvaging books but keeping the guns in good repair. Into this cold land comes shocking evidence that life might be flourishing elsewhere: a refugee emerges from the vast emptiness of forest, whose existence inspires Makepeace to reconnect with human society and take to the road, armed with rough humor and an unlikely ration of optimism. What Makepeace finds is a world unraveling: stockaded villages enforcing an uncertain justice and hidden work camps laboring to harness the little-understood technologies of a vanished civilization. But Makepeace's journeyÃ¢ÂÂrife with dangerÃ¢ÂÂalso leads to an unexpected redemption. 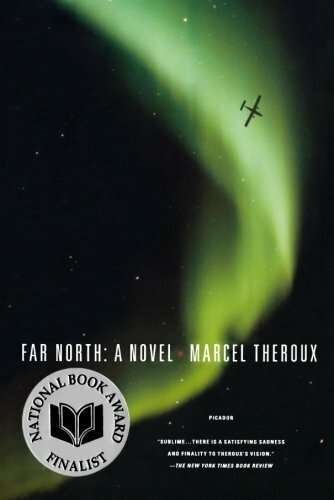 Far North takes the reader on a quest through an unforgettable arctic landscape, from humanity's origins to its possible end. Haunting, spare, yet stubbornly hopeful, the novel is suffused with an ecstatic awareness of the world's fragility and beauty, and its ability to recover from our worst trespasses.